The Sanskrit is praNava, meaning ever new. This mantra is a commonly used one in our practice to unite the energy of the class, as well as a natural extension of the mantra, Namaste. 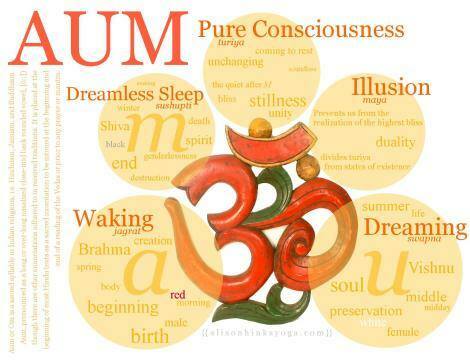 AUM can be broken into five sacred parts. A, represents creation and begins within the navel. U, represents preservation and is held within the lungs. These three letters symbolize many other aspects and there is no denying the importance of AUM in helping us focus our mind, body and practice into a sacred act. According to yoga the human body and mind are made up of three gunas, which make up our ‘nature’ or ‘tendencies’ of Prakṛti (found within both the macrocosm and microcosm). M – tamas – ignorance, darkness, death, passivity, and inertia. There is also the sacred space before and after the chant. 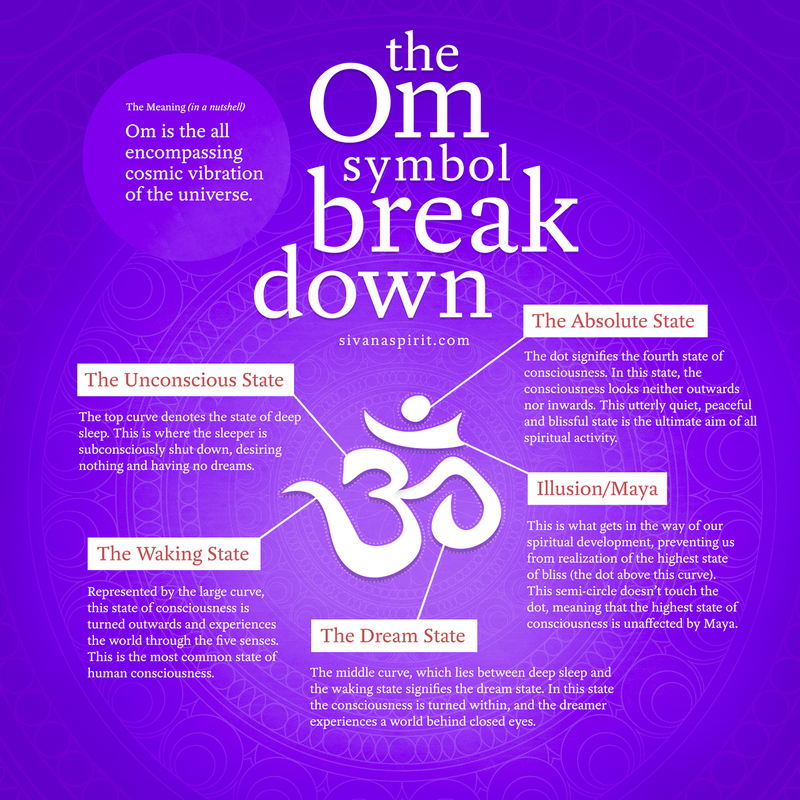 The silence which symbolises the transcendence of all the three gunas – trigunatita – pure consciousness.The whole symbol representing Brahman, the perfect state. The silence that is present symbolically represents the underlying reality which underlies and is beyond that which is created, sustained and destroyed. 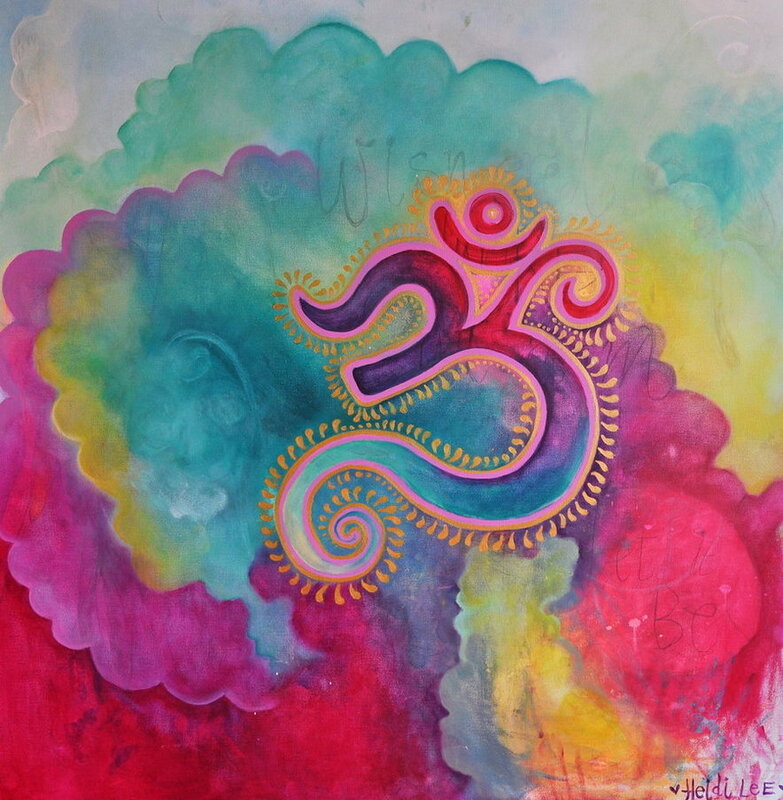 The whole universe is created from “Aum.” Vibrating “Aum” helps to align our energy to the universal energy, clearing our mind and connecting us to the whole. It engages all the components of the larynx/mouth and the entire spectrum of human sound. 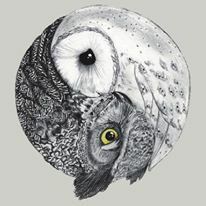 It becomes a meditation upon itself and when applied with intention connects us to the universal song. Again, another way to begin and seal your practice and each sacred day. Manipura, the Ego, and Yoga.